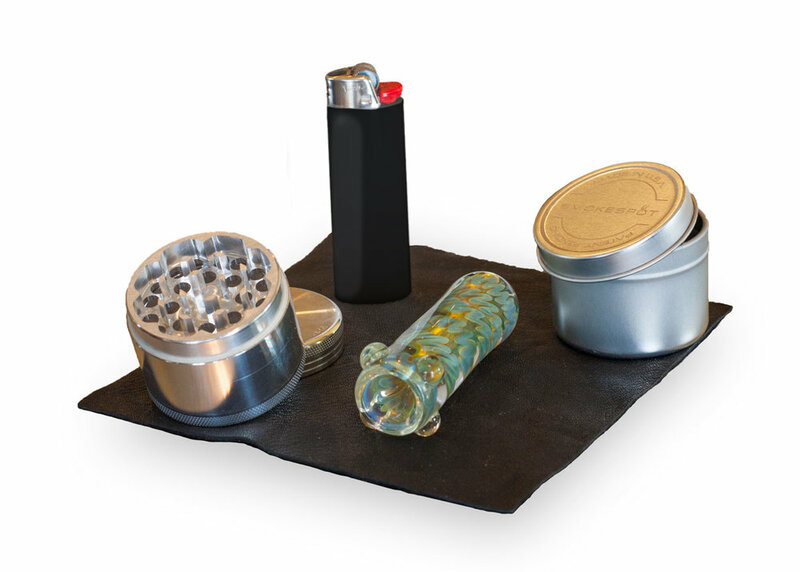 A stylish, practical, and high quality container for your herbal pleasures. Everything in one beautiful package. Built to last a lifetime and made in the USA, SmokeSpot's practical & patented design allows you to carry everything you need for your next trip across the country or the living room. Quarter turn caps with smell proof seals ensures easy access to your equipment without loosing any freshness of your flower. Hard-coated, aircraft grade aluminum wrapped in supple hand-stitched leather is the canvas for an array of colors and textures sure to please the senses. Whether you prefer something a bit more adventurous, or have an eye for the classics, there is a SmokeSpot for everyone and every style.